DK HOUSE KOBE | DK HOUSE (Official Website) Apartment houses in the Tokyo and Hokkaido areas with great prices and high-quality furniture. Kansai’s largest designer share house “DK HOUSE” is opening in Kobe! The large guest house “DK HOUSE,” which is popular in Tokyo, has now opened in the beautiful port town of Kobe, a place of history, modernism, and nature! All private rooms are equipped with a washbasin and a balcony, and are fully furnished. Internet and television access points are also available, and privacy is guaranteed. In communal spaces, you will be able to interact with people from all over the world and make use of facilities you would never usually never find in private apartments such as a large Japanese style bath, a living room with comfortable sofas and a café style dining room. Living at “DK HOUSE” is an extraordinary experience. Enjoy living comfortably in our hotel-like facilities including spaces which can be used for studying, working or as a theatre and meeting rooms. All toilets are equipped with electronic bidet seat attachments. 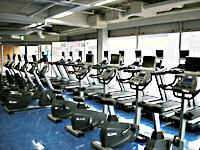 Joyfit sports club is a 5 minute walk from DK HOUSE Kobe. Shared electric bicycles, communal computers and newspapers are all available. 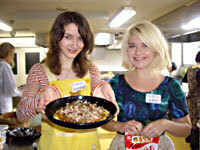 We also hold seasonal seasonal events and exchange parties! 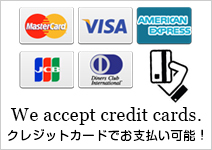 We have bilingual staff, and can accept e-mail inquiries in Japanese, English, Chinese and Korean. There is a large shopping mall only a three minute walk away. Stores there include a discount supermarket, a home wares store, a convenience store, a Japanese style spa (with a large bath and swimming pool), diners, a sushi-train restaurant and an electronics store. DK HOUSE Kobe is an eight minute walk from Shinzaike station on the Hanshin line, a ten minuete walk from Oishi station, and by train it takes thirteen minuets to Sannomiya and thirty-eight minuets to Umeda. you can be charged for the excess amount. DK HOUSE Kobe is located right between Kobe and Osaka. You can even see Mount Rokkō! We have self-locking doors and security cameras so that the guest house is safe and secure. There is also a women’s only floor. 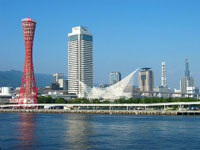 We offer life within an international community in the Kansai area! Our guest house is located in a very convenient area near a large supermarket, shopping stores, and family type restaurants. We are opening in September 2011, and aim to create a guesthouse in which residents from all over the world can come together like one big family. We have a large Japanese style spa in which you can relieve the day's fatigue, and also a dining space decorated in the open kitchen counter style let you cook yourself. We also have a number of electric bicycles available for use to allow all residents to enjoy an more eco-friendly lifestyle. 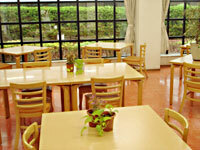 As well as that, our communal spaces are cleaned daily and are always clean and hygienic.